The country’s best freestylers assembled in Chicago last week to share tricks, show off moves—and determine the identity of the best freestyler around. And after trimming down 35 entries to a 16-player final knockout-style tournament—and pitting ball magicians against each other, head-to-head—Los Angeles’ Alex Mendoza won his second USA Freestyle Championship crown in Chicago last week, besting the top seed to do so. Mendoza, the fourth seed in the tournament (whose freestyle moves also appear in ads for Honda and other brands) bested defending champ Khoa Nguyen in the final battle to take home his second title since 2013. 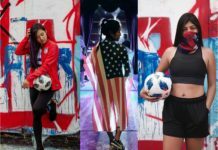 Both Mendoza and Nguyen are well-known fixtures in the freestyle scene, and while only in their late 20s, are regarded as something of veterans in the field. Mendoza will be heading next to the international freestyle competition Super Ball in the Czech Republic in August, where he’ll face off with arguably the world’s toughest and most talented pool of freestylers. Fahad Al Breiki, king of the foot-to-foot slow roll, placed third. Each of the three top finishers to make it to the podium received a trophy. Freestylers were judged on difficulty of the tricks and moves in their routines and the quality of the overall performance. Each had to put on a one-minute qualifying show before a panel of three expert judges before qualifying for the final 16. But, he added, the biggest surprises didn’t even make it to the podium. Jose Garcia, 16, who finished thirteenth overall in the tournament, wowed judges with his age-defying abilities. Check him out in action below. The top female freestyler was Mendoza’s fellow Innovation LA member Caitlyn Schrepfer, who with a strong performance advanced to the quarterfinals. Not every top American freestyler attended the tournament, however. Possible favorite Jereminho elected not to compete, and the timing of an international tournament further complicated things. A World Open tournament began on July 8 in China, while the U.S. competition was still ongoing. Organizers there invited a New York-based freestyler and former vice champion, Frankie, to be the U.S. representative. 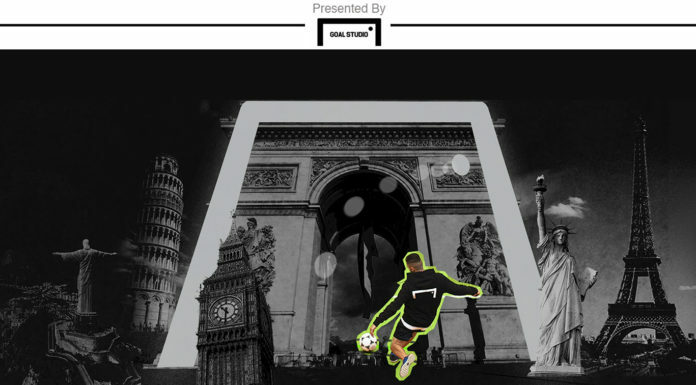 So, like with international 11-a-side soccer, U.S. freestyle still has some growing to do. “We just need more competitions to be organized during the year,” Bounouader said.